Home » Health News » This Runner Is a Hitman. His GPS Watch Tied Him to a Mob Boss Murder. A British runner, cyclist, and mob hitman has been convicted for the murders of two rival gangsters, in part, because of his GPS watch. Mark “Iceman” Fellows, 39, was found guilty by a jury at Liverpool Crown Court of killing organized crime leader Paul “Mr. Big” Massey and his associate John Kinsella, 55 and 53 at the time of their deaths. Massey and Kinsella were also career criminals, part of a gang scene near Manchester, England with a reputation known across Europe, according to the Manchester Evening News. Though police already suspected Fellows in Kinsella’s death, it was his Garmin Forerunner that linked him to Massey’s unsolved 2015 murder. 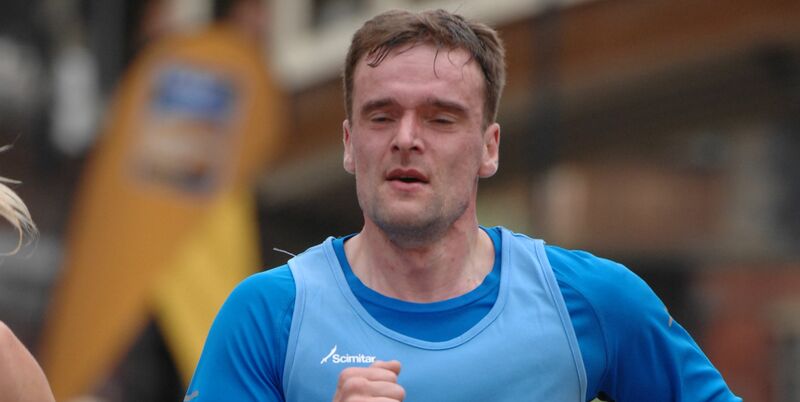 While detectives were investigating Fellows, they came across a photo of the suspect wearing his Garmin Forerunner during 2015’s Great Manchester 10K (he ran 47:17, pictured above) two months before the murder of Massey that July. Detectives then located the device at Fellows’ home and checked its GPS data for files that could link him to Massey. Manchester police asked James Last, an expert in satellite-based radio navigation, to examine the Garmin for evidence that Fellows had been been near the scene of Massey’s murder, reports the Liverpool Echo. Last said that almost two months before Massey’s death, the watch had recorded a 35 minute activity starting in Fellows’ neighborhood and traveling to the field near Massey’s home. Professor Last said the wearer set out initially traveling at around 12 mph, which suggested they were on a bike. When they reached the field, the speed dropped to about 3 mph, consistent with walking, before they stopped for about 8 minutes. According to the Liverpool Echo, this is the alleged escape route that Fellows ran or perhaps rode his bike on two months later, after gunning down Massey in his own driveway. Three weeks after the death of Massey, Fellows was shot (presumably by a gang rival) while riding his bike from his girlfriend’s to his grandmother’s house. The shot passed through his pelvis, according to the Warrington Guardian, but he survived. After this brush with his own death, the 39-year-old appeared to live a quiet life, working the night shift as a sous-chef making sauces. Then three years later came the death of John Kinsella, along with surveillance video showing Fellows making a similar reconnaissance loop in his car. On May 5 2018, he approached Kinsella on his bike, and shot him twice in the back, then twice more while Kinsella was on the ground, before pedaling away. As seriously as Fellows seemed to take his preparation, he did not appear to consider witnesses would notice a cyclist wearing both commando gear and a hi-vis safety vest while toting a gun (they did, and they told the police). Soon after, Fellows left the country on vacation with his girlfriend, and upon returning, was arrested in the airport on May 30. On January 17, 2019, he was sentenced to life in prison. Hopefully he’ll get a good yard for running laps. Runner’s World looked into other possible race results for the killer. We found a British Mark Fellows of the same age group who ran the St. Albans Half Marathon two weeks before Massey’s murder. However that Mark Fellows also ran the same half in 2018, two weeks after the homonymous hitman was arrested. Further research leads us to believe that the half racer is a St. Albans-based (about 180 miles from Manchester) Mark Fellows, who, ironically, is a lawyer.